The insider advice on this page is from Wendy’s Trusted Travel Expert for the Seychelles: Lindsey Wallace of Linara Travel. 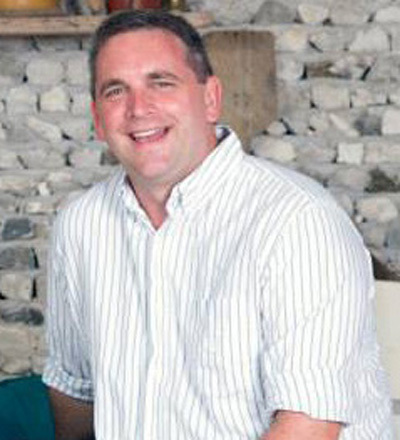 After discovering it was nearly impossible to find reliable, up-to-date travel intel about the Indian Ocean islands (Maldives, Seychelles, Mauritius), Lindsey Wallace founded Linara Travel in 2003. 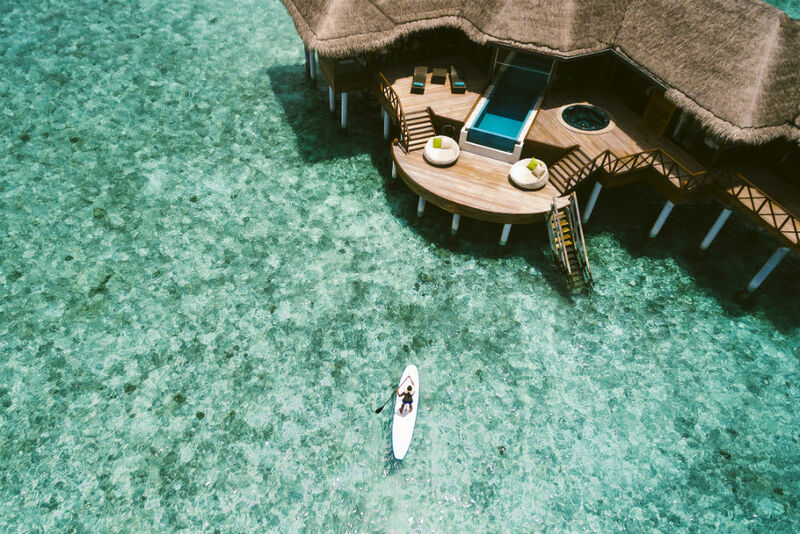 He’s now an expert on each of those destinations and is especially adept at matching travelers to the island, hotel, and overwater bungalow—even butler, massage therapist, and dive instructor—that best suit their needs. 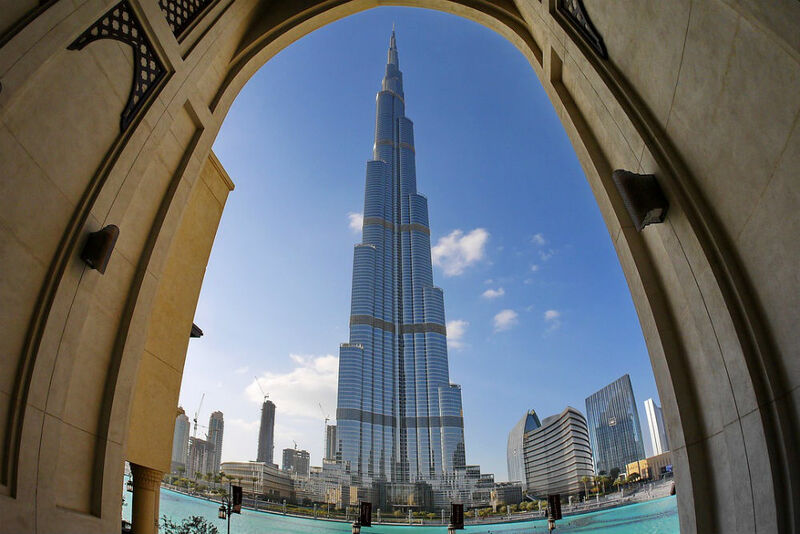 He’s become an expert on the United Arab Emirates and Oman, too (see Dubai and Abu Dhabi), and, with help from friends in high places, carves out exclusive rates and perks so you can live like a king in these otherwise pricey places. He visits these countries about six times a year, building and cementing the relationships that make all this possible. Lindsey was also included in Perrin’s People, Wendy’s award-winning list of top travel specialists, which was published annually in Condé Nast Traveler magazine from 2000 to 2013. 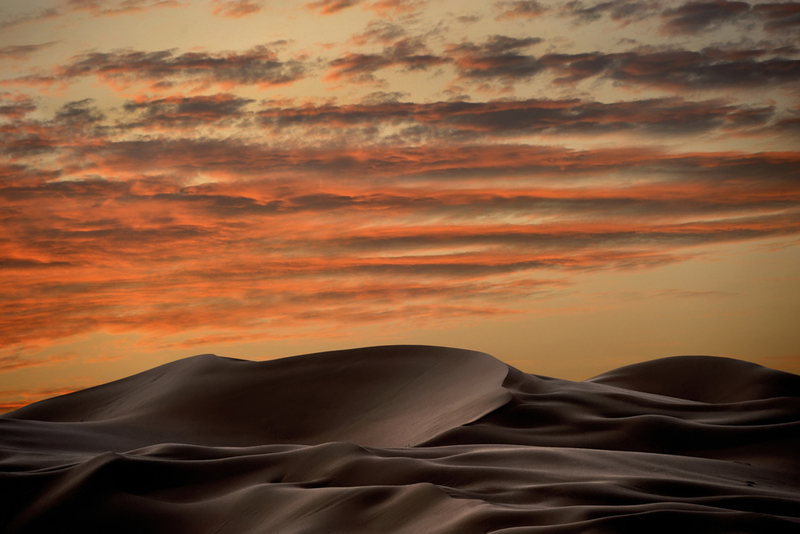 Trips have a three-night minimum and start at $420 per day for two travelers. The most luxurious resort on Praslin Island, the Raffles Praslin Seychelles, often has special offers that make it less expensive than a few resorts that aren’t as fancy. I love the Panoramic Pool Villas, which have unobstructed views out over the ocean. Maia Luxury Resort & Spa on Mahe has huge secluded villas with great views and 24-hour butler service—so you’ll never have to leave your room if you don’t want to. Book dual treatments in one of the spa’s private open-air pavilions. Sainte Anne Island Resort has spacious rooms with sleeping areas for children; for much of the year, two kids up to 17 years old can stay for free. This resort has a larger kid-dedicated staff than most others, and it’s near the Sainte Anne Marine Park, one of the best places for snorkeling. The less expensive Constance Ephelia has two- and three-bedroom villas that were built specifically for families, plus a kids’ club with its own pool, arts and crafts projects, cooking classes, and such. This resort also has one of the largest and best water-sports centers, multiple beaches, a climbing wall, a zip line, tennis courts, and squash courts—in short, more things to do than anywhere else in the Seychelles. The Marie Antoinette Restaurant in Victoria has been the most popular spot for local Seychellois Creole food since 1972, serving unique dishes such as fruit bat curry and octopus curry, plus freshly grilled fish. Have lunch among rare birds in the canopy of a huge banyan tree at Fregate Island Private; it’s like a picnic with Michelin star–quality food. Anse Louis, Seychelles. Photo courtesy Maia Luxury Resort. 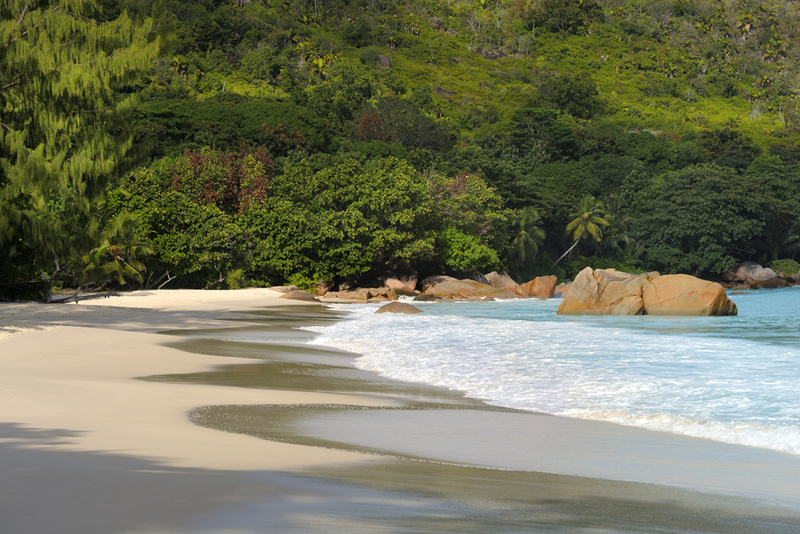 Anse Georgette on Praslin Island is one of the prettiest beaches in the Seychelles. It is hidden and hard to reach; access is easiest through Lemuria Resort (you can call to set it up even if you aren’t a guest), or via a rugged trail from Anse Lazio. The beach has stunning granite boulders and often nobody is on it. It’s a perfect spot for a romantic, private picnic. Aride Island Nature Reserve. 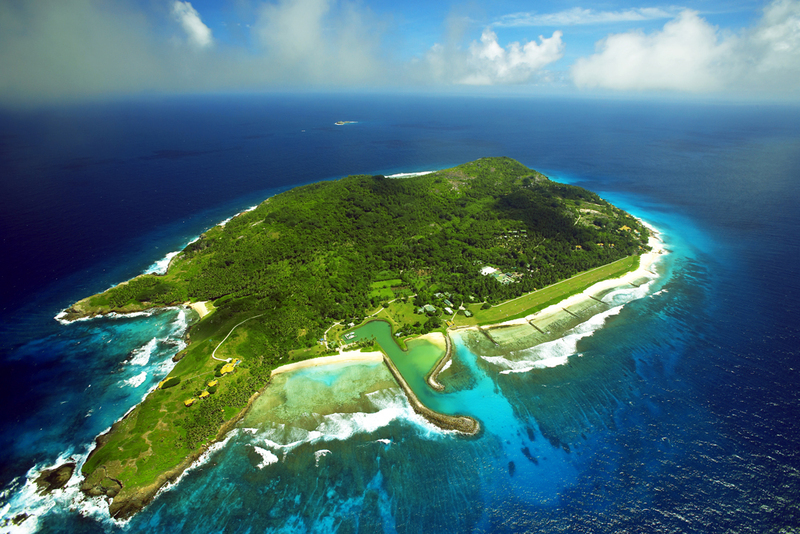 One of the most important avian sanctuaries in the Indian Ocean, hundreds of thousands of birds breed here, including five species only found in the Seychelles. You can visit for the day by boat or helicopter and spend the afternoon checking out the rare birdlife and plants and snorkeling in the pristine waters. Oxcart rides on La Digue Island. It is the traditional way of getting around La Digue, but the ride is just a few hundred yards long and very slow. We suggest renting a bicycle and exploring La Digue at your own pace. Anse Lazio on Praslin Island has lifeguards, calm water, good snorkeling, and a couple of restaurants overlooking the white-sand beach. There are also some Aldabran tortoises living nearby, which kids get a big kick out of seeing. Anyone can go to Aride Island for the day, but I can set up an overnight visit. You’ll sleep in one of the few cabins on the island, which are normally reserved for researchers, and get a much more in-depth experience watching the rare birds and tortoises and snorkeling in spots few people have visited before. It’s truly special to be there in the early morning during breeding season (May through August), when tens of thousands of birds fill the air with their songs. If you’re staying on Praslin or Mahe, rent a car and explore the island on your own. There are lots of pretty beaches waiting to be explored. Have your resort pack you a lunch or stop off at a local grocery store and make your own. Explore the island and find a deserted beach to snorkel and swim at your leisure. Finish with a crisp and refreshing local Seybrew, a Seychelles-made beer. While the Seychelles are warm year-round, the months from February to October have the most sunny days. Rain can occur at any time of the year, but storms are typically short and isolated. Bear in mind that seas can be a little rougher from May to September. October is the best month for spotting whale sharks. Rainfall is highest in January; December also gets a fair bit of rain. The boat ride between Mahe and Praslin can be really rough from May to September. Take the 15-minute scenic flight instead; it’s only a few dollars more and has lovely views. Anse Source d’Argent on La Digue Island is the most photographed beach in the Seychelles. Go early when the colors of the water and sand are best, and you’ll have the beach to yourself. Coming from Praslin Island, take an early ferry, rent a bicycle, and head straight to Anse Source d’Argent. In the afternoon, bike across the island to Grand Anse (there’s a café that’s a good option for lunch) and lovely Petit Anse, which you may well have all to yourself; there’s a hill, but the effort is worth it. A coco de mer, the famous double coconut or sea coconut, is the most well known souvenir in the Seychelles. An actual coco de mer that is perfectly proportioned is a bit expensive (about $250–$300). Smaller wooden versions are just a few dollars. You’ll find both options at the Seychelles Island Foundation Gift Shop, on Praslin. The foundation manages the Vallée de Mai Nature Reserve, a UNESCO World Heritage site, which your shopping dollars will help protect. If you’re interested in a coco de mer, don’t take one from the island or buy a discounted one from a local; the government regulates their sales, so you’ll have to show the proper tags and documentation from a souvenir shop when you leave. It is slow moving in the small Seychelles airport, as employees work on island time. Relax, remember you are on holiday, and you’ll get through passport control eventually. Many resorts and restaurants include a 10 percent service charge; a little extra is appropriate—though not at all necessary—if you’ve had good service. If no service charge is listed on the bill, add 10 percent.